Belt Technologies is pleased to offer the benefits of metal belts in an easy-to-use system, complete with motion control, tracking, and tensioning  all from a single source. Each system is built to exacting standards, and delivered ready to use*. Talk to your Belt Technologies Sales Engineer today about a complete metal belt system for your next application. 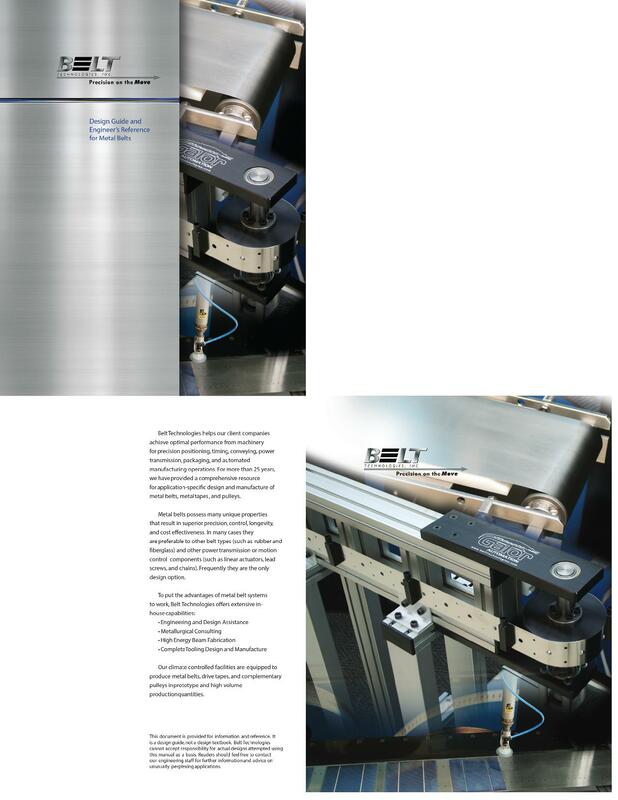 Belt Technologies help our client companies achieve optimal performance from machinery for precision positioning, timing, conveying, power transmission, packaging, and automated manufacturing operations. For more than2 4 years, we have provided a comprehensive resource for application-specific design and manufacture of metal belts, metal tapes, and pulleys. For more information send an inquiry directly to Belt Technologies, Inc.